Over the past couple of weeks, the Mount Allison community has been discussing the recent decanal reconstruction proposal from Provost Jeff Ollerhead and what it would mean going forward for the University library and archives. This proposal, circulated by the provost, included the potential phasing-out of the university librarian position. The university librarian would potentially be replaced with a non-academic management position that would not require any specialized librarian experience or knowledge. Essentially, this proposal is suggesting the removal of the head librarian, who serves to manage, oversee and advocate on behalf of the rest of the librarians and library staff. In the grander scheme of things, this proposal seems to fall in line with the University’s desire to streamline and reorganize things at the administrative level. Our libraries are a crucial space for nearly every student and faculty member on Mt. A’s campus. 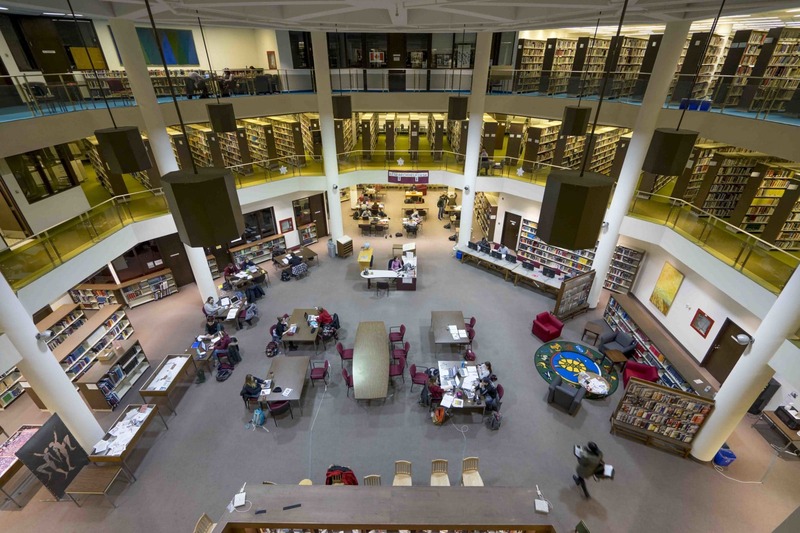 Whether you’ve only been to the library a few times throughout your entire degree or you’ve spent more late nights in the stacks than you care to remember, the library is an integral place to the Mt. A community. The librarians are some of the kindest, most hard-working folks at Mt. A – always there to help find the best resources, answer research questions or simply be a smiling face on your way to and from class. It’s extremely disheartening to see the administration devalue the vital hard work that the librarians and library staff do for everyone here at Mt. A. How can you expect a university to produce high-quality research and provide the best academic resources for its staff and students when you can’t even be bothered to properly fund and organize the central space where all of this takes place? How can you expect a university to be ranked number 1 among all other universities when its most fundamental resource isn’t treated with the importance and respect that it should be? Mt. A’s libraries and archives is comprised of the R.P. Bell Library, the Alfred Whitehead Music Library and the university archives. Eliminating the position of the university librarian is not entirely shocking, to be quite honest, when reflecting on the administrative agenda of Mt. A these past few years. This proposal and the potential changes that it includes are a clear indicator of what is important and valuable to the University’s administration and what they feel they can cut corners on and get away with. It is simply another nudge towards minimizing certain aspects of the University that do not fall in line with, or serve to uphold, the shiny, corporate facade that Mt. A works so hard to keep up for all those Maclean’s readers. The demand for tuition rebates, the demand to support a women’s and gender studies program, the demand to divest from the fossil fuel industry – the list goes on. These aspects of the Mt. A community are effectively seen as an inconvenience to this university’s administration. Should we let the University treat our library and our librarians as simply another line in the budget? As another inconvenience that can be shrunk down and minimized to better “streamline” at the administrative level? Absolutely not. As students, staff and members of this community, we need to stand up for our librarians. Keep engaged, keep informed and use your voice to speak out in support of the library. The library is the heart and hub of our community here at Mt. A and we must treat it as such.